There’s a good reason why Vancouver is known colloquially as Hollywood North. Not only does it feature as the backdrop for movies from Fifty Shades of Grey to Deadpool, it’s also the home of animation studios such as Industrial Light & Magic and Image Engine—responsible for the visual effects in household names like Star Wars and Game of Thrones. With increasing numbers of big-budget productions choosing the city, the call for talent is enormous. 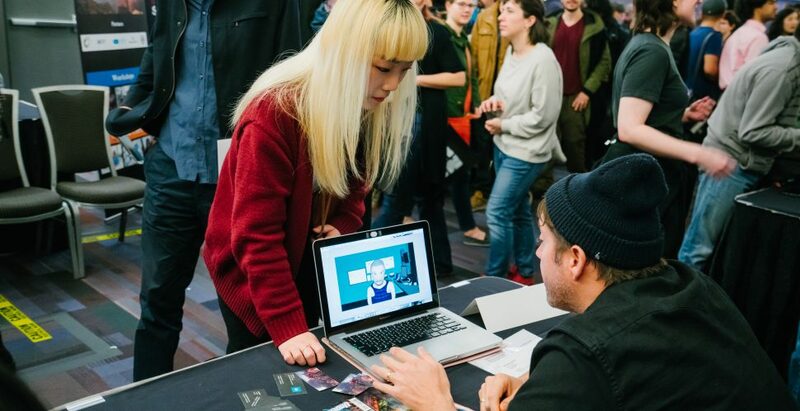 If last weekend’s careers fair for digital entertainment is anything to go by, however, there’s plenty of qualified professionals ready to meet those demands. More than 3,500 individuals registered to attend the event at the Convention Centre—a 40 percent increase over the previous year, according to the event organizers at the Vancouver Economic Commission. Lining the aisles between jobseekers were booths from 35 top local studios, including Sony Pictures Imageworks, Animal Logic, and Stargate Studios. Together they were offering more than 500 jobs. One of the longest lines belonged to Bardel Entertainment: the local company behind well-known hits like Rick and Morty and Angry Birds Blues. Operating in the city since 1987, the studio was looking to fill a number of roles in animation, including character designers and background artists.